A Techno Shamanic Ambient Journey into a World of Secrets! Among us (you and me) there's always been a certain suspicion, a feeling, a sensation that there is some underlying secret some all encompassing final truth a touch of finality in a sea of endlesness. Those who feel this sensation, we call: The Children of the Secret... souls drenched in questions and with a barely felt taste for the answers, ever so close. 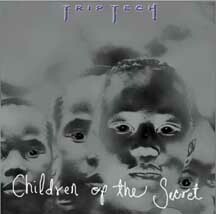 This CD, this music, this structure of vibrations, is a gift to these children, wherever you are. Yes... all that and more! A shaman is a conscious being who is able to disengage itself from a limited perspective that is forced upon it through a life long identification with a particular human body. The process of disengagement is the quest of the hero, the delving into the darkest regions of consciousness, the Land of the Dead. The shaman returns modified, never to be the same and bearing gifts. My influences range from the Orb, Aphex Twin, Bill Laswell, Hearts of Space, FSOL and DJ Spooky to composers such as Debussy, John Cage and Philip Glass.